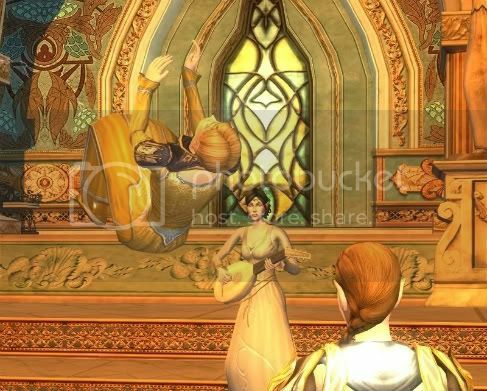 This weekly event is designed for those who love Elven RP. General purpose is enjoyment. The majority will come to listen to the poems, tales and music. Some like to read or have a more personal get-together in one of the many corners of the hall. 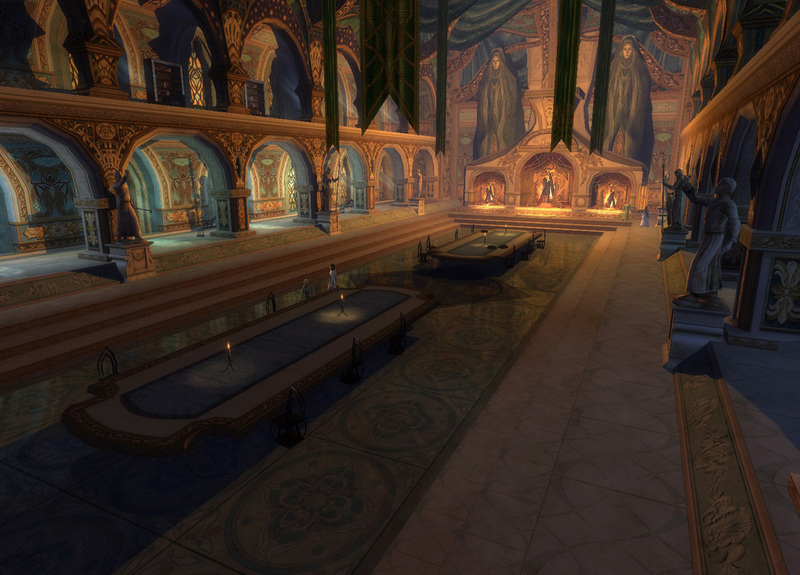 To make it clearer, all races are ofcourse welcome, but the main focus is that this is an elven gathering. So come on, come all, this and every next Wednesday evening! And poke your kinnies and friends about it ingame! Last edited by Silaen; Jun 07 2011 at 07:42 AM. I'll try to upload more! Last edited by Isilmewen; Jun 01 2011 at 05:04 PM. O_O awesome!!! you are the best taking screenies. When will you start the artist thread? Last edited by Isilmewen; Jun 01 2011 at 05:36 PM. Please isilmewen, keep the posts about this event..
And I've missed my Sil, oiiii *pats on head*. Oh shush or I'll publish one more of those Rivendell Nudist Colony shots. 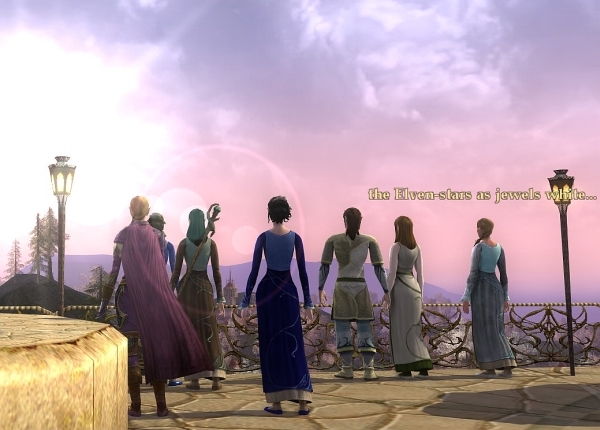 That one was from the lovely spinoff event in Duillond, just to show our new friends it's not always just posing in front of the ovens in HoF . Also, what is the gossip about these days? Lhas hasn't attended in ages so she's really out of the loop. Requesting Hall of Fire recap! I had considered making this thread, but heard that Cymaru was going to do so! But thank you, Silaen, for posting it up! Ah! The picture above this post, I see Mithon and Tanes! Ah, such a great story - alas it was re-written. Last edited by Glingaeron; Jun 01 2011 at 06:05 PM. The event is Elf-preffered, but we have seen a fair amount of Naugrim and Perain, not to mention the Humans. Perhaps update OP with said info? Perhaps copy from LA page? But i edited it with a clearer text. I was keeping myself as well, I thought that Mirineth wanted to made the thread, but i couldn't resist when I saw it.... had to post screeies. I may well post some of my own, soon. Gotcha, may well attend the next one. There haven't been player created pinned posts for over a year, so you may want to list some of your information in the lorebook. It can be searched and indexed then. See? I've posted some of the screenies! Yeps, this weekly event has been going on for over a year. On Codemasters we were eligible for a sticky.. New forum, new chances eh? Eh? Who do I send muffins to this time? Sapience, whom I will be petitioning to sticky Gûr Edhellen when it's done. I recall someone mentioning that events aren't stickied, that they have to be added to the Lorebook. Correct me if I'm wrong. Not a fan of the Lorebook and it's free-editing, for events and such.